As a very intense fire season continues to cause damage in Southern California, our thoughts are with those who have been displaced and lives upended by the recent fires. Since designing homes is such a large part of what we do here at Modative, we feel for those who have lost something so integral to their lives. In an effort to help in the recovery, Modative is offering deep discounts on our architectural services for anyone affected by the Southern California fires. Whether rebuilding on the site of the loss or in a new location we are here to help. Please contact us if you are interested. www.modative.com. 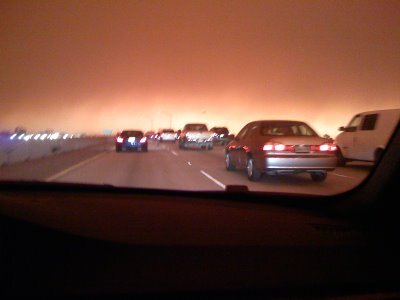 A photo I took while driving down the 101 freeway during last year's fires.